Welcome to Temple Israel in Tulsa, Oklahoma. We are so happy you could join us. Temple Israel is, and has been for 100 years, the place in Tulsa where Reform Jews can gather to explore and enrich our Jewish identity. Temple Israel is affiliated with the Union for Reform Judaism. We are a diverse and inclusive community. 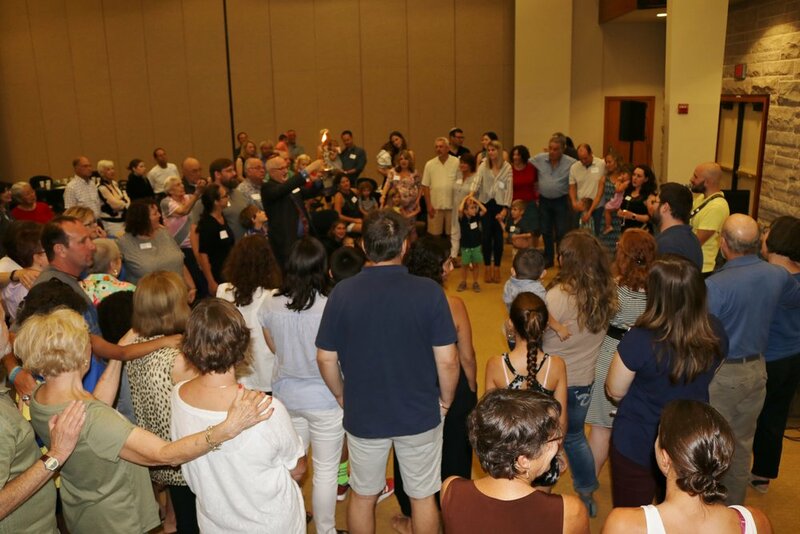 We are a congregation of 375 families and are active participants in Jewish traditions and innovations. We value and embrace: dynamic programming, prayer and spirituality, life-long learning and study, meaningful life-cycle occasions, community connections across the generations, social justice and civic responsibility. The Temple Israel Family looks forward to warmly welcoming you! Congregational Second Night Seder | 6:00 p.m. Rabbi Weinstein, Cantor Weinstein, and Cantorial Soloist, Jenny Labow, will lead us as we celebrate with friends and family. Everyone is welcome to participate in telling our Passover story. All ages will enjoy the lively songs, food, and fun for the evening. Children will participate in the Great Afikomen Hunt! The delicious traditional Seder dinner will be catered by Just Catering by Orr. To reserve your spot, please RSVP and pay by Monday, April 15. An alternative menu option to accommodate dietary needs can be provided with your reservation. Please look in the mail or your email for more information. Saturday, April 20, 2019 at 6:00 p.m.
Yitzkor Service | 10:00 a.m.
Join us on the seventh day of Passover, as we honor our Yizkor. Click on each day or event title for more details.